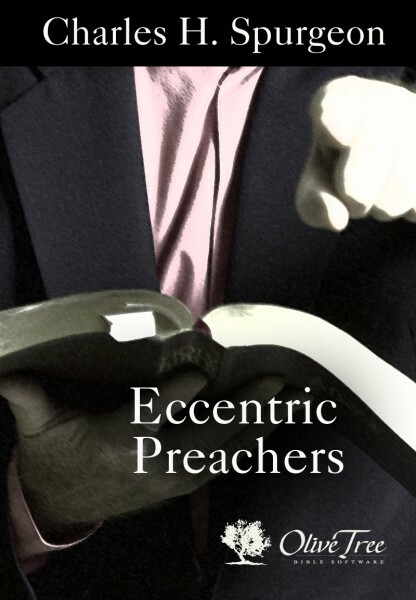 Defining an "eccentric" as one who "does not tread the regular ring, but deviates more or less as he sees fit," C. H. Spurgeon writes of some of the greatest "eccentric" preachers in Christian history. Though they may have been called "eccentric" by the world, they were following a spiritual orbit in their work for the Lord. This work was originally a lecture and widely reported in the British and American newspapers of the time — but the text appearing there was badly altered. See what Spurgeon himself really said when delivering the lecture, which he expanded in the book. Its aim was to save pastors from criticism and fault-finding by others.